rock on with this nature craft activity. 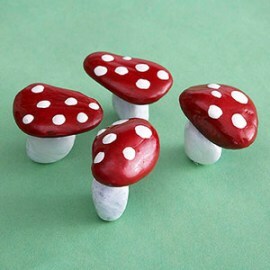 turn a smooth river rock into a bug or mushroom, or perhaps you would like to write a wish to the faeries. take your treasure home or Perhaps this is the start of your faerie garden. 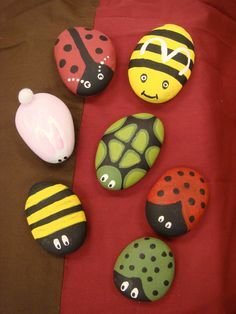 Painted rocks. This messy play is always fun for everyone. We take our rocks and turn them into rainbows and bugs, mushrooms and flowers. We provide painting smocks so children won't ruin their festival clothes. Cos lets face it, paint isn't going to go only on the rocks. Faeries will be dutifully cleaning up the table all day from paint splashes. Eco Faeries provide high quality texter pens to write and draw creations on the rocks. This makes the activity less messy for families and festivals if you are concerned about paint. Usually this means the designs are more intricate and children can also write words on them too.